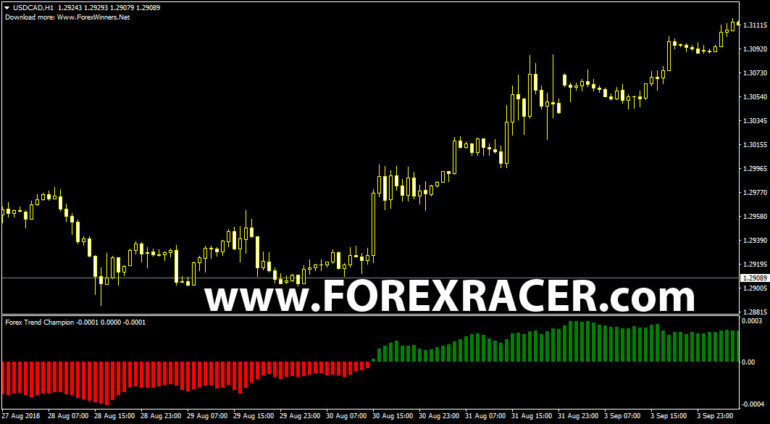 Forex Trend Champion is technical forex indicator that points out current and past trend. It is suitable for intraday and long term trading. This is not best choice for scalpers as it is not giving very accurate signals on lower timeframes where price changes are really small. How to use Forex Trend Champion? When the color of the bars changes from red to green, it is time to look for a buy order. When the color of the bars change from green to red, it is time to look for a sell order.